In the hustle-bustle of life where everyone is striving for the unattainable, there are times when frustration reaches its pinnacle and all that one needs is some tranquillity and solitude that can refresh one. The best stress buster is a vacation to a place which appeals to your soul. 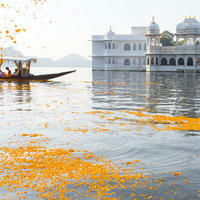 One such beautiful destination that quenches your desire for peace and relaxation is Udaipur. 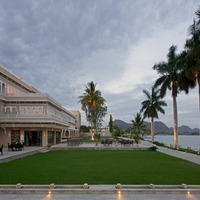 When visiting Udaipur, why not let yourself get pampered in style? The hotel you choose to stay in is as important as the destination you choose to visit. 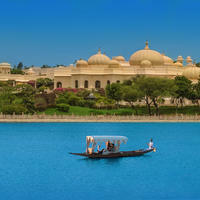 To add to the lure of Udaipur and give you a glimpse of royal living, there are several 5 star hotels in Udaipur, which force you to indulge your senses. They pamper you and treat you like royalty with their unique and warm hospitality. Set amidst the majestic Aravalli Hills, Udaipur takes one back in time to a period of beautiful palaces and havelis, kings and queens, and the awe-inspiring Rajputs. Each nook and corner of the city piques your curiosity to delve deeper into the stories and myths behind the palaces, lakes, temples, and havelis. 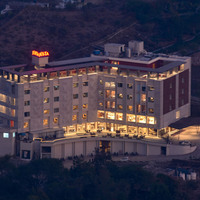 The 5 star hotels in Udaipur offer high-class luxuries beginning right from your flight landing at the airport, to your entry into the hotel lounge, extending to the top-notch rooms and the multi-cuisine delicacies. 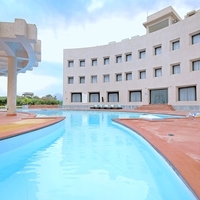 If you have ever had the desire to live life king size, then here is your chance to fulfil your dream with the best hotels in Udaipur that cater to your smallest wishes. With palatial rooms, in-room facilities, and fantastic bathroom decor, the 5-star hotels in Udaipur have amenities that will assuage the craving of your soul. Even royalty never had it so good. 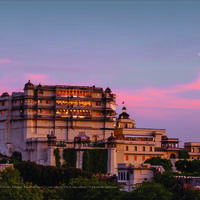 Udaipur is friendly with the scorching heat of the sun and a visit to the palaces, or the lively and contemporary bazaars may exhaust your energy, but as soon as you step in your luxurious hotel room, it will replenish your spirits and helps you unwind. The memories you take back on such extravagant trips make you yearn for another vacation so that you can again indulge in a relaxing spa, eat sumptuous meals, forget your worries at the swimming pool, or just wander around the hotel enjoying all the facilities they have to offer. Today, there are an increasing number of people who plan a vacation every three to six months. Where ever you go, you will find hordes of tourists even in off-season. So an important travellers tip is that as soon as you plan a vacation, decide on the accommodation. 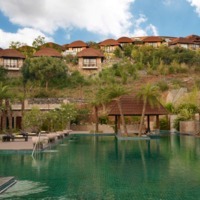 Immaculate planning and timely online hotel reservations can help you to enjoy the much-needed break the way you want. 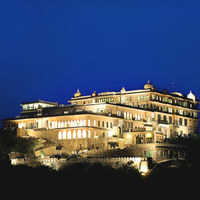 And, if you are planning to splurge, then you deserve to book the best 5-star hotel in Udaipur of your choice. 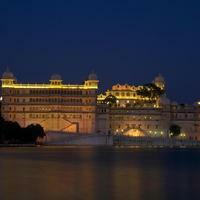 What can be better than getting amazing deals and cashback offers on Udaipur 5-star hotels. 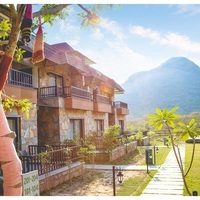 At Cleartrip, our aim is to help you plan the best trip by booking some of the best hotels. We can help you realise your dream of staying at a luxurious hotel by offering exciting discounts and nice stay options. Five-star accommodations listed with us will provide you an outstanding experience. 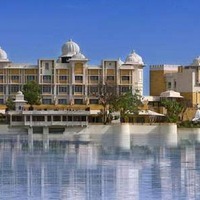 Browse and select from the finest 5-star Udaipur hotels according to the area you want to stay in and other preferences. 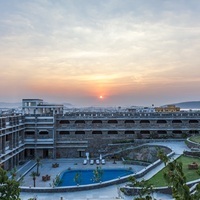 Radisson Blu Udaipur Palace Resort And Spa, Ramada Udaipur Resort and Spa , and The Lalit Laxmi Vilas Palace Udaipur are some of the best luxury hotels in Udaipur where you can spend some of the best moments of life while indulging in ultimate comfort.